2018 CLEARANCE! 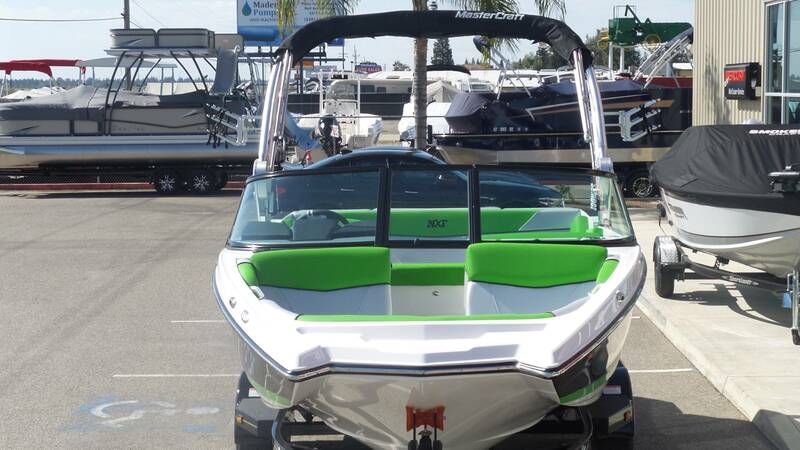 Only $68,900 OUR PRICES WON'T BE BEAT! 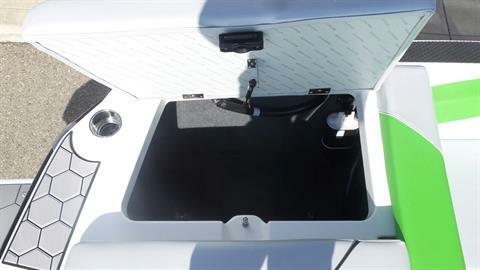 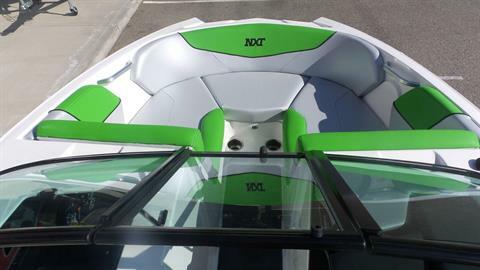 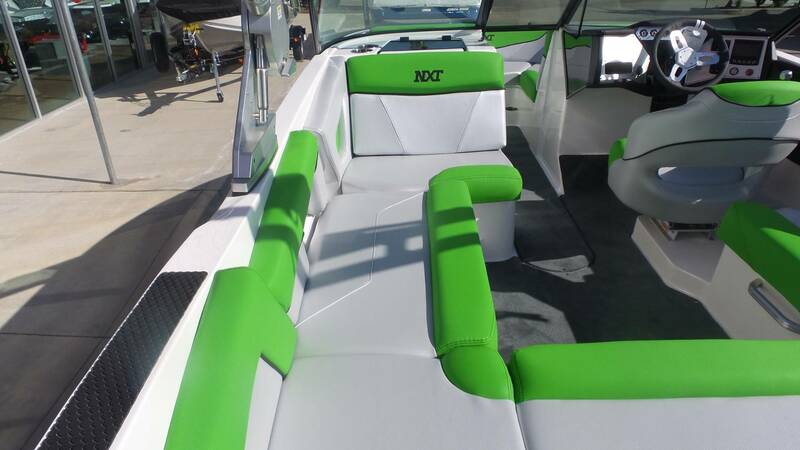 Upgraded Features Include: NXT Surf Package with S2S Switching (Attitude Adjustment Plate, NXT Wake Shaping Device, PDM, Stock Ballast, Plumbed Ballast Bags, Tacking Fins), Convenience Package (Swivel Board Racks, Depth Finder with Water Temp, Mooring Cover, Bimini Top, 2 Bow Cleats, 2 Stearn Cleats, Floor Covering), Bimini Cover, Removable Rear Ski Pylon, Fiberglass Swim Platform, Fire Extinguisher, Auto Fire Extinguisher, Installed Drop-In Carpet, Tandem Axle Trailer with Spare Tire, and more! 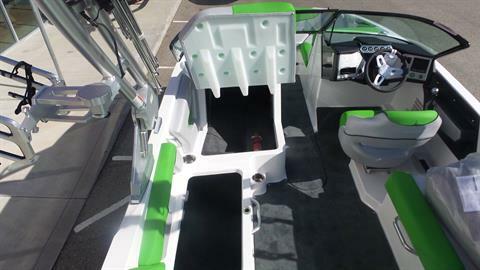 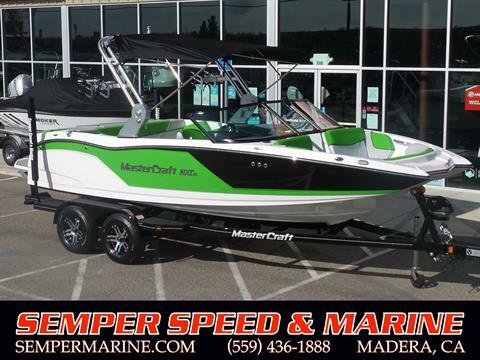 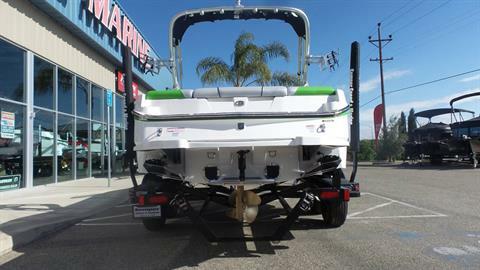 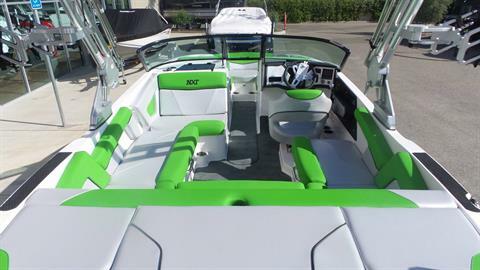 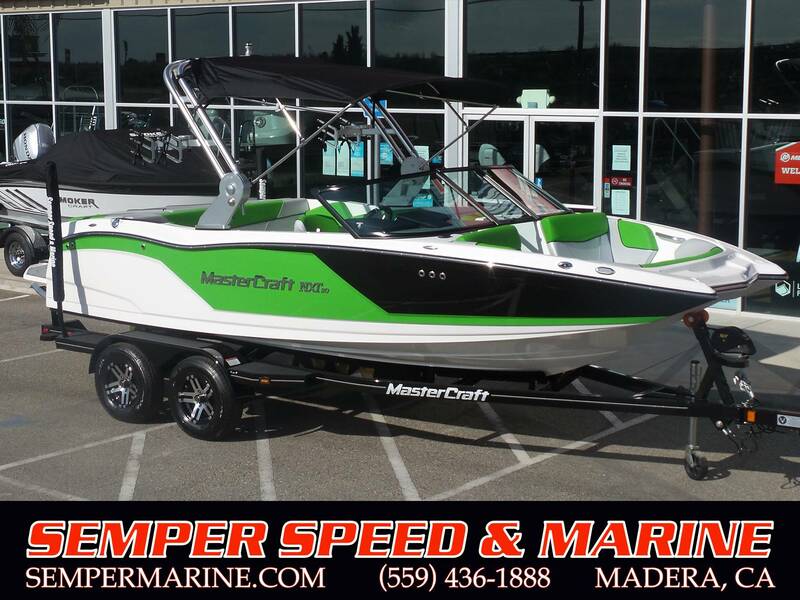 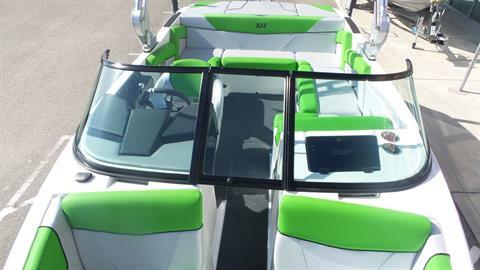 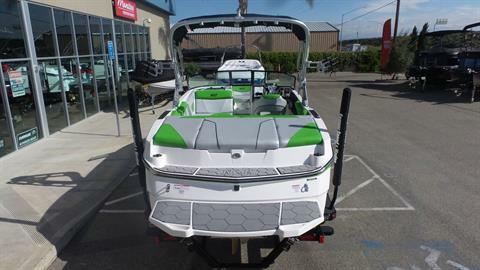 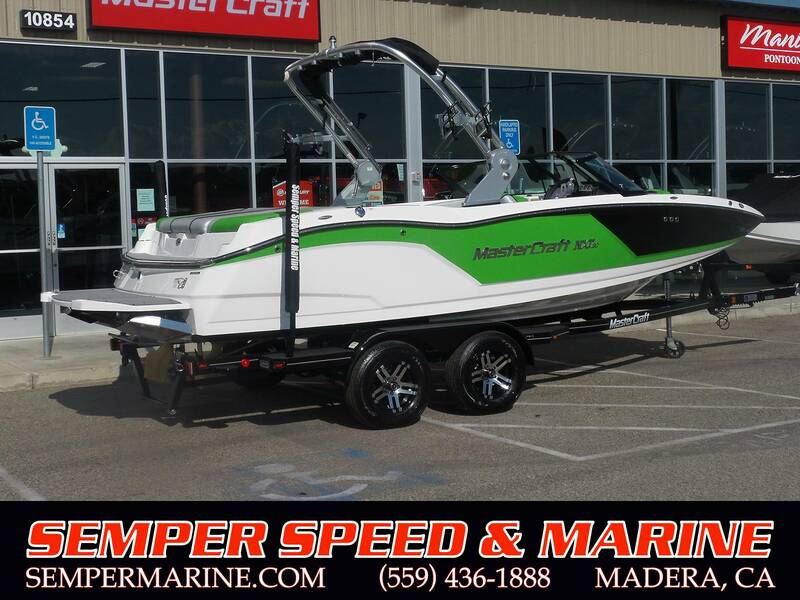 Standard Features Include: Mastercraft Power By Ilmor 5000 V-DRIVE, V3 Pro-Wake Propeller, Mastercare- 5 Year Factory Backed Warranty. 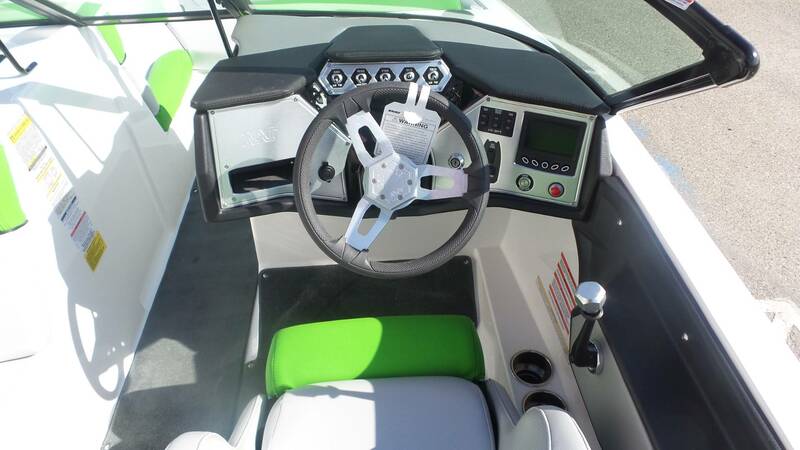 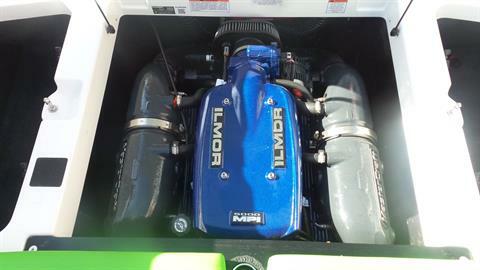 Single Battery System W/Switch, Dual Exhaust System W/Fiberglass Mufflers And SS Tips, High-Pressure In-Tank Fuel Pump, Cross-Linked Polyethylene Fuel Cell With In-Tank Fuel Pump, EZ Change Oil Kit, Zero Off Wakeboard GPS Based Speed Control, Billet Aluminum Accented Dash, 4.3 & LCD Color Screen With 5 Button Interface, Displaying Speed And Tachometer, Engine Temp, Fuel And Oil Pressure Display, Air Temp Sensor, Custom NXT Steering Wheel, Rack And Pinion Steering W/ Tilt Helm, Competition Throttle Control With Billet Knob, Automatic/Manual Bilge Pump System, Bilge Blower, Triple Tank Under Floor Ballast System, Interior Courtesy Lights, 3 Piece Sunpad, Horn, Engine Warning Alarms, NMMA-Certified For Safety, Safety Lanyard Kill Switch, Automatic Fire Extinguisher System, Low-Voltage Battery Alarm, Water Resistant Glove Box, Three (3) 12-Volt DC Power Outlets, Anchor Storage, Molded In Transom Boarding Step, Curved Safety Glass Windshield, 100% Composite Construction, Mirror, Windshield Mounted, Composite Integrated Stringer System, All Stainless Steel And Non-Corrosive Hardware, Anchorlok Reinforcing Plates, (Steel, Aluminum Or HDPE), Glassed Into Place Behind All Mounting Areas, Aluminum Interior Grab Handles For All Seating Areas, Premium Grade 140lb Puncture Resistant Vinyl With UV Protection, Mildew And Stain Resistant Treatment.